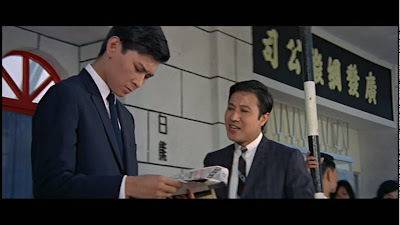 In an amusing pre-credits sequence, Mr. Wu (Yang Fang) and Mr. Yao (Chin Feng) are kicked out of their apartment by a landlady in need of space for her soon-to-be-married child. 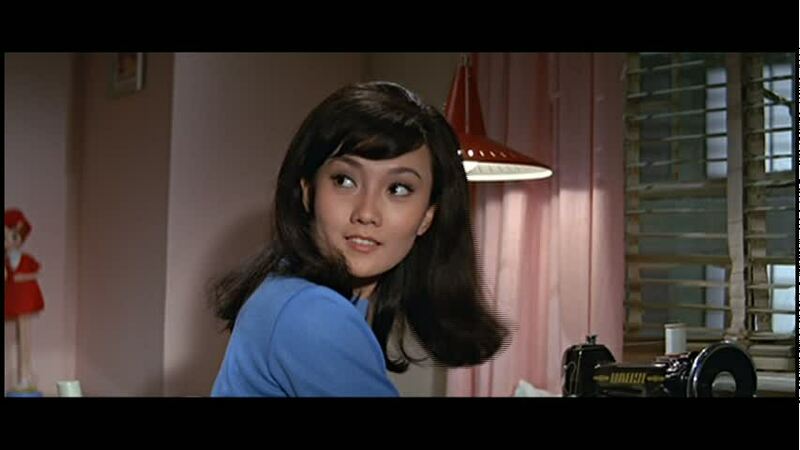 The fact that Chin Feng's side of the room has a wall covered with pin-up pictures doesn't help the guys' case. The boys are college students and their paths are about to cross with that of high school student Chen Meiyu (Lily Li). Lily Li is the fifth sister and she's watched three of her other sisters get married already. The girl's mother (Chen Yan-Yan) is busy trying to get fourth sister (Shu Pei-Pei) married off. 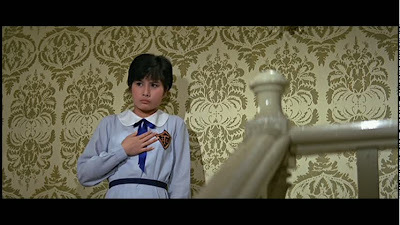 There's also the matter of a room for rent in the house which the mother only wants to rent to college students. 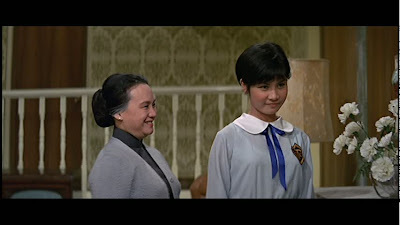 Cheung Kwong-Chiu is the girl's uncle and Lily Li's Meiyu seems close to her cousin Jinglan (Essie Lin Chia), also unmarried. 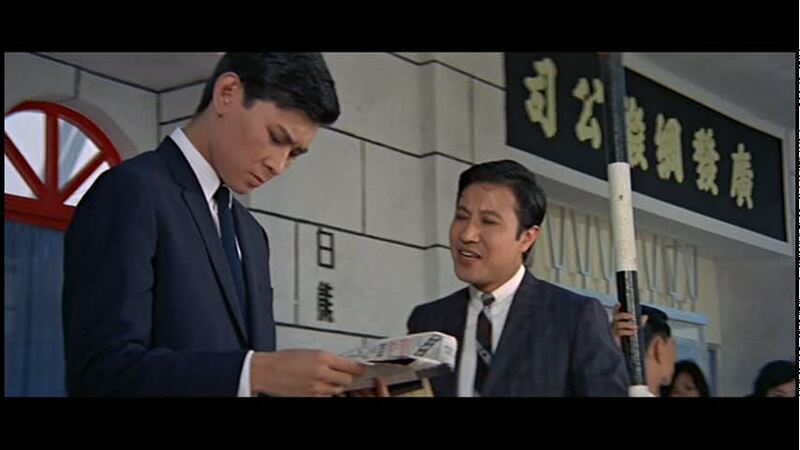 1) Location shots of 1967 Hong Kong. 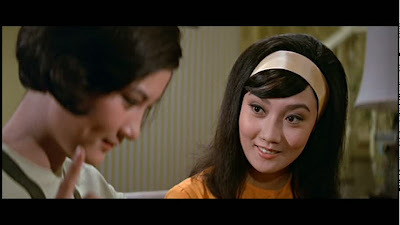 There are not a lot but I actually recognized the stretch of road that Shu Pei-Pei's bus is traveling down in an early shot. 2) Lily Li in a lead role. After seeing the actress in so many supporting roles -- usually playing a petulant brat -- it's a delight to see the girl in a main role here. 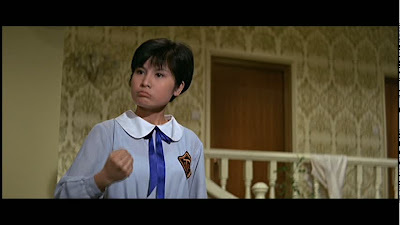 She's adorable and cute and a bit tomboyish. So, after Yang Fang's Mr. Wu has moved in with Lily Li and her family, Chin Feng's Mr. Yao moves in with Lily's uncle and his family, including the guy's pushy wife (Kao Pao-Shu). It seems like both sides of the family are desperate for handsome college students to rent rooms if those college students are potential suitors for their daughters. 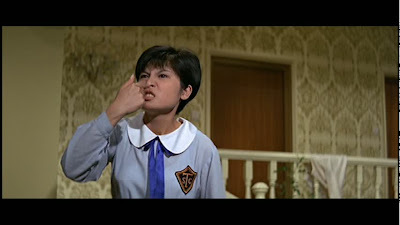 There's not much reason to recount all of the silliness and romance here; Spring Blossoms (1968) is largely fluff but it's fun. 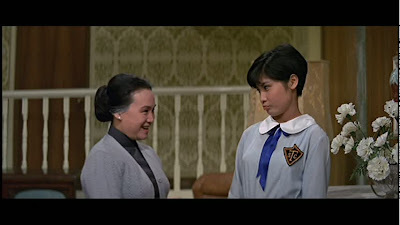 I don't think it's any surprise that the two male leads will somehow end up marrying two of the girls by the film's end but the comedic bits make the inevitable hijinks a pleasure to sit through. 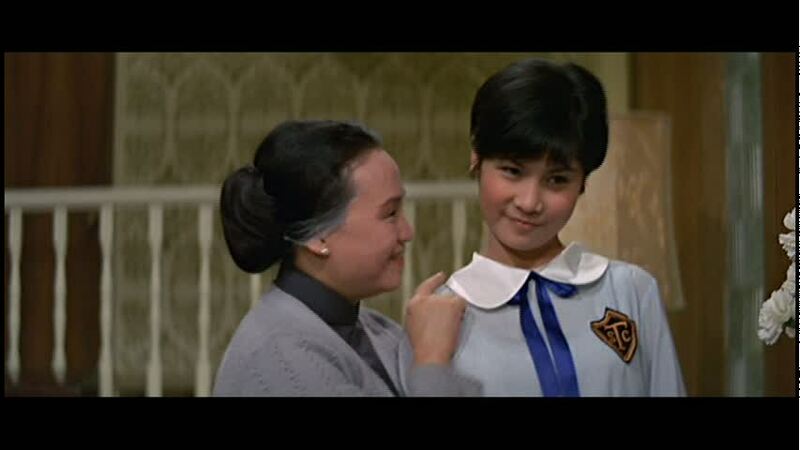 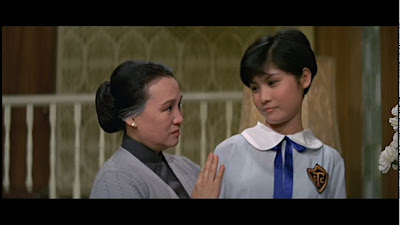 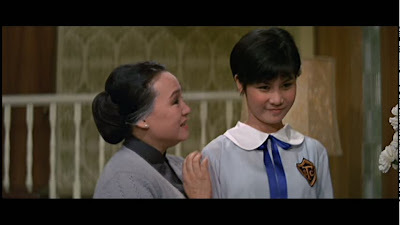 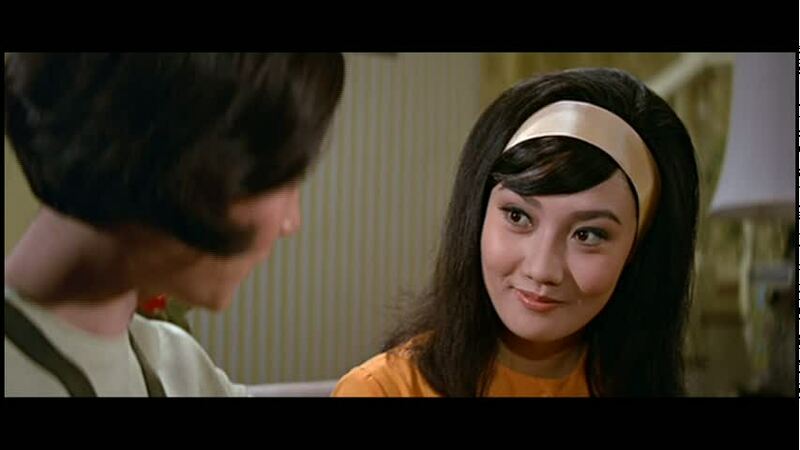 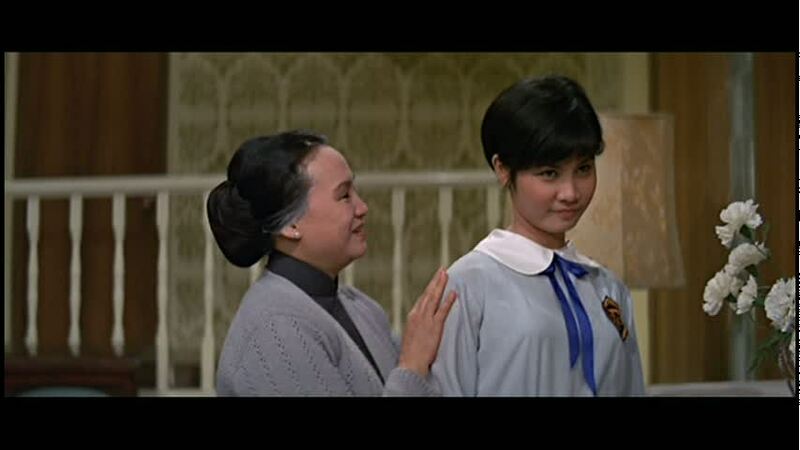 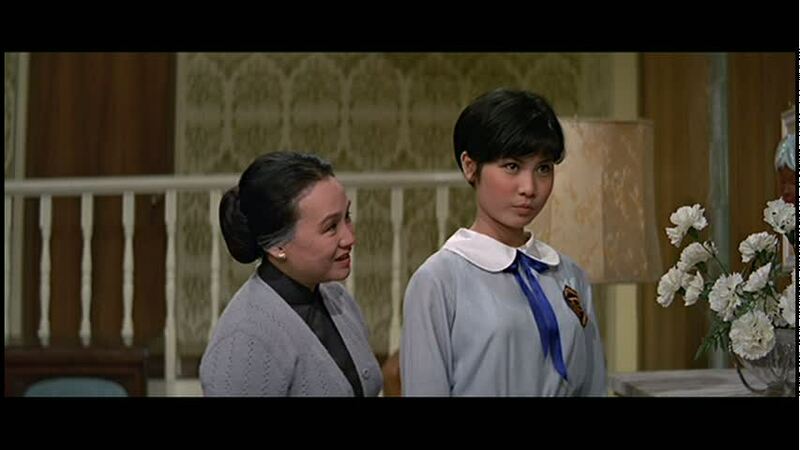 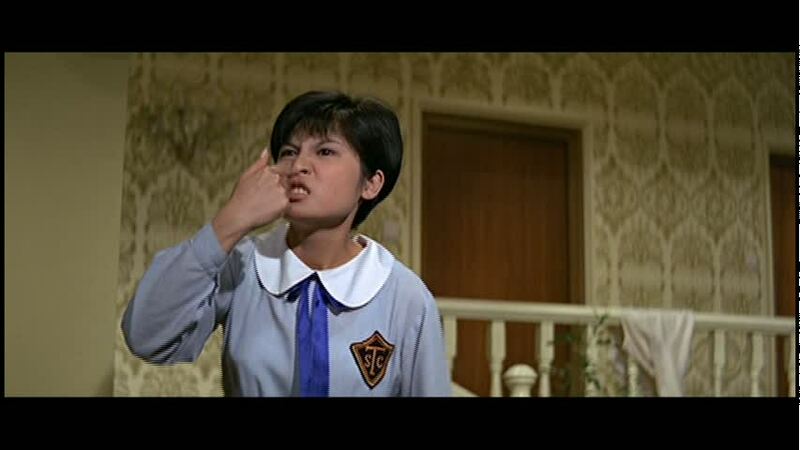 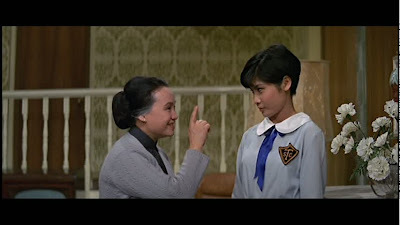 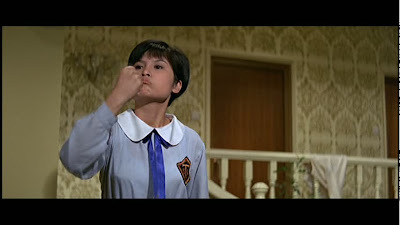 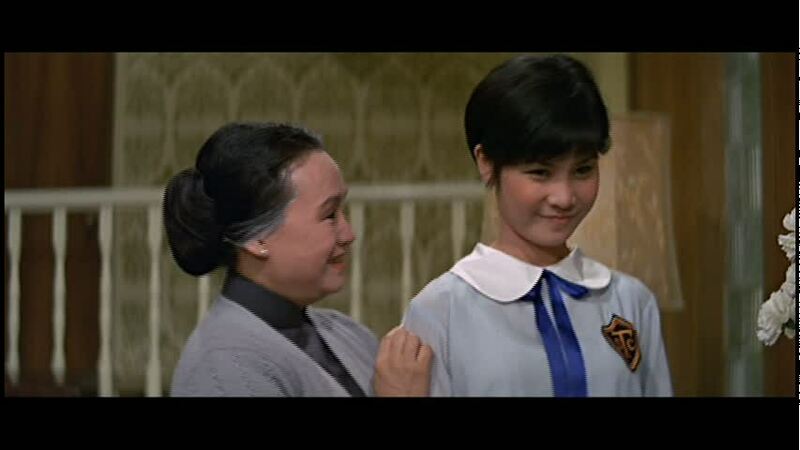 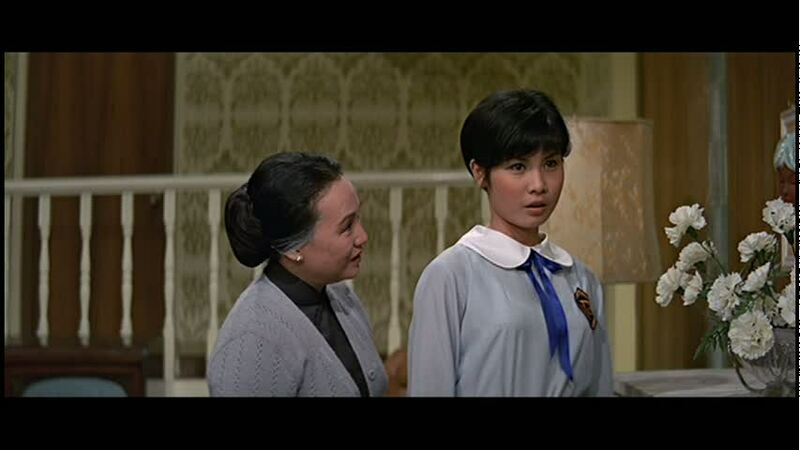 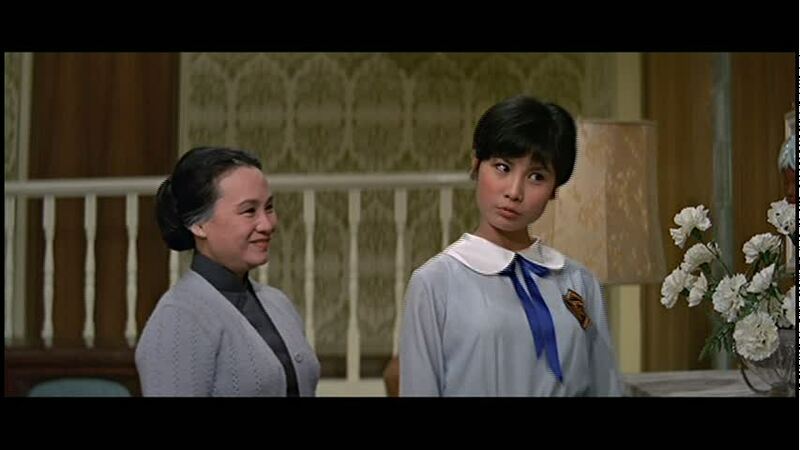 Shu Pei-Pei has the thankless role of the serious sister but Essie Lin Chia is quite charming here as her cousin. At one point, the girl runs away from home and later finds her father in the park. 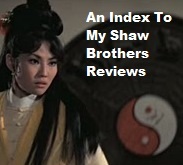 The scene felt quite natural and a lot less histrionic than a similar scene would have been in a Li Ching film. 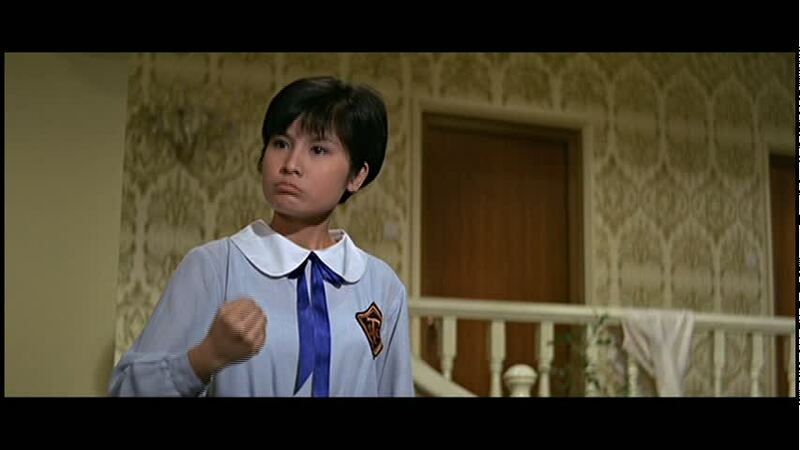 Then again, the tone here is a bit lighter. 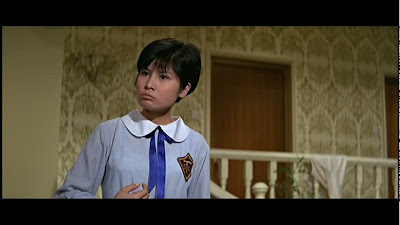 And Lily Li really is ridiculously cute here. 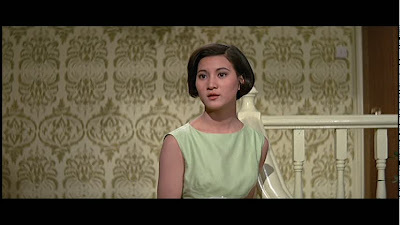 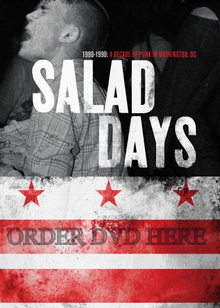 You can buy Spring Blossoms (1968) on DVD here.